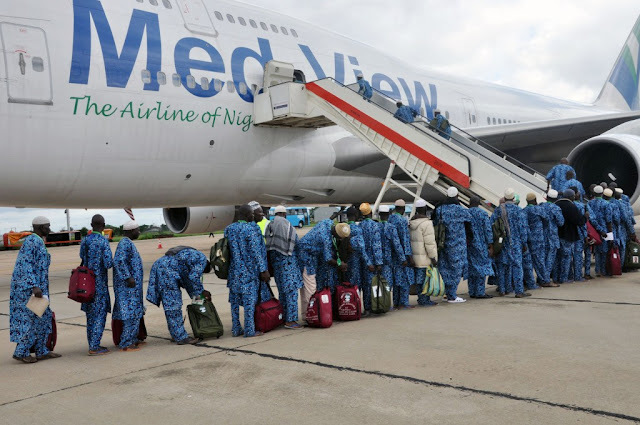 Medview Airline aborted its Saudi bound flight at Ilorin airport when Birds strike on Saturday night forced the pilot to stop the aircraft. According to the airline, he B767 aircraft carrying 222 pilgrims was taxiing for takeoff when it was struck by a brood of birds forcing the pilot to abort the flight. The 222 pilgrims were de boarded without incident, and arrangements are being made to provide another aircraft to airlift them today. The airline assured all pilgrims that the schedule for their airlift to the Holy Land will not be affected by the incident. Meanwhile, the airline last night flew a team of engineers and rotables to Ilorin to get the aircraft back to service.